The President of Ariel Investments tells Arianna Huffington her best business practices, and how she avoids burnout. Mellody Hobson, President of Ariel Investments, believes that speed doesn’t necessarily win in business. Ariel Investments’ logo is a turtle, Hobson points out. 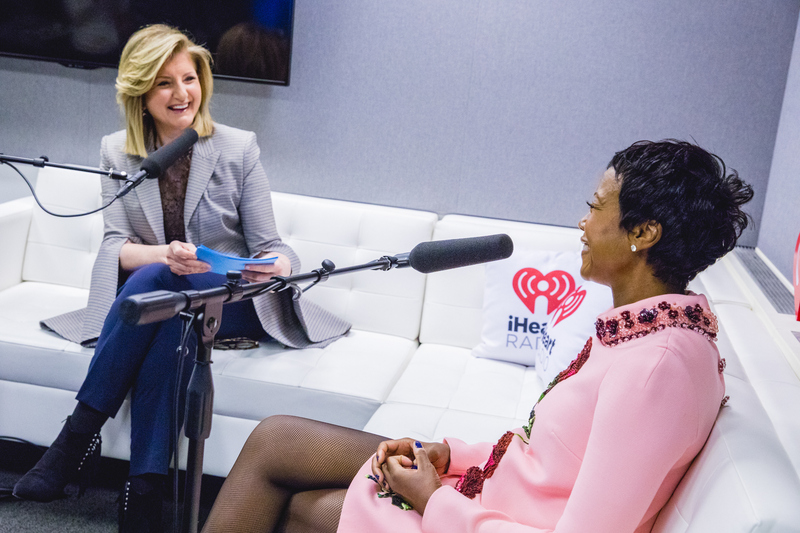 “Slow and steady wins the race,” she tells Arianna Huffington on the Thrive Global Podcast, in partnership with iHeartRadio and Sleep Number. Several studies have shown that motto, which rests on delaying gratification (something Hobson’s childhood taught her well), is a gold standard of predicting future wealth and overall wellness. It may sound easy, but it’s not. “There is no finish line,” Hobson admits. “You are never done.” In a candid conversation with the founder and CEO of Thrive Global, Hobson lays out how she and her firm’s team thrive. “That idea of no finish line can be all consuming, and especially hard if you manage global portfolios where a market is open around the world at all times,” Hobson says. She eases the burden of the marathon by giving people on her team freedom and independence. “We give people a lot of autonomy. We don’t micromanage,” she tells Huffington. “They are trusted to do their work, however they do it, whenever they do it. That autonomy is incredibly liberating.” Research backs her up: Studies confirm that micromanaging employees has adverse effects on their well-being and productivity, while granting them autonomy increases their professional and life satisfaction. After sharing how Ariel Investments’ culture helps employees flourish, the conversation turned to how Hobson herself incorporates Thrivey habits into her own life. “I do not perform well if I don’t exercise,” Hobson tells Huffington. “I need the endorphins. Physically, I’m not right if I don’t exercise in the morning.” She confesses that even if she’s sleep deprived and very tired, she forces herself to get to the gym. The flush of endorphins, she says, moves her brain into high gear. Regular physical activity does indeed improve cognitive function, a recent study found. Hobson says she’s always thinking: “How do you maximize your potential for each and every day, each and every hour, each and every minute?” Part of that mentality comes from her mother, who established firm rules about rising early. “She didn’t believe that you should ever sleep past 6:00 in the morning no matter what,” Hobson says, even on vacation. “She thought the world was passing you by… That still lives in me. I can function at a very high level at 4:00 a.m.” Hobson’s brain, she says, is “very alive” in the wee hours of the morning and is toast by the evening. “I can barely hold a conversation,” she jokes. While she confesses that she needs eight hours of sleep to be in top form, she admits she doesn’t always get it. Lucky for her, though, her preference for waking before dawn has health benefits, according to research. Hobson, who’s raising five-year-old daughter Everest with her husband, renowned filmmaker and entrepreneur George Lucas, tries to model healthy behavior for her little girl. “I have had that phone attached to me, so I don’t even take my purse when we go to a restaurant… I can’t even be tempted to look,” she says. She also admits that she doesn’t take her purse to the movies either: “I believe she will model all of my behavior, so I have to stop it now.” Her sense of urgency is well-warranted: Research out of the University of Michigan and Illinois State University last year showed that parents’ excessive technology use in front of their children may have harmful effects on their development. When Huffington asks if Hobson sleeps with her phone by her bed, Hobson confesses: “My phone is charging by my bed, but I have made a concerted effort not to look at it.” She emphasizes that 90 percent of the time — “I can’t say zero,” she admits — if she gets up after she’s gone to bed, she does not take a peek, which is a huge improvement for her. “I would say before it was 10 percent of the time that I did not look at my phone.” Decreasing her phone use could, research indicates, improve her sleep, which also helps improve overall well-being.